★REMOTE CONTROL★ Even you are not at home, you can control your smart bulb on/off with your phone via Smart Life App. 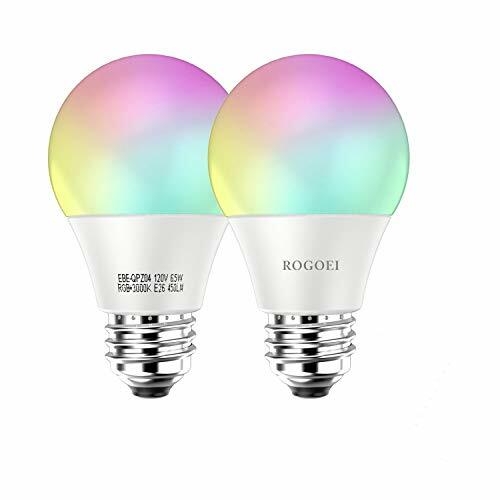 Easily set schedule for your smart bulb. Customize your home light system, like setting lights to come on at dusk or turn off at sunrise. You can create a group for all of your smart bulb and control them all with just one command. Works with 2.4GHz Wi-Fi network. 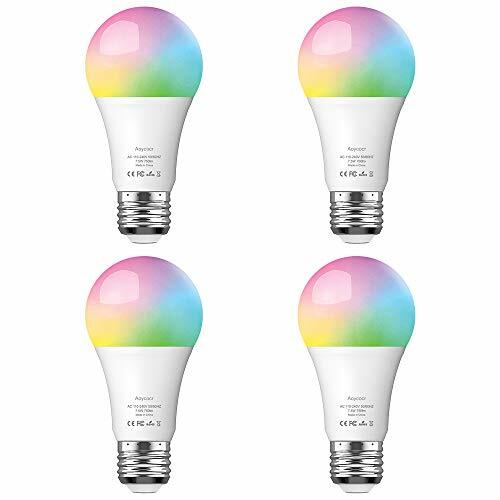 ★VOICE CONTROL★ Control your smart bulb via your voice with Amazon Alexa, Google Assistant and IFTTT. Just give a voice command to turn on/off or dim/brighten your light, even switch your light to specific color as you need. No hub required and easy to install. No need subscription. 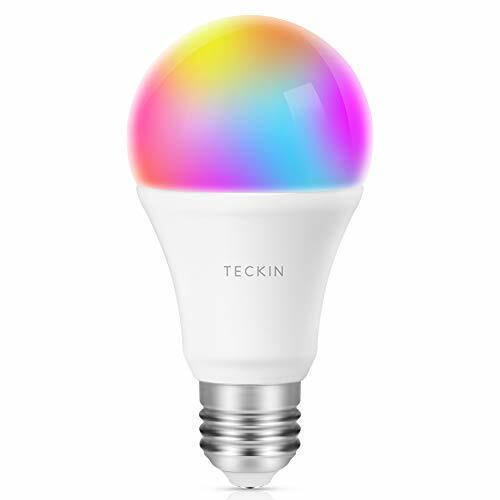 ★MILLIONS COLOR CHANGING★ Express yourself and make your space more creative with TECKIN Smart Bulb. Choose from 16 million colors and shades of white to instantly change the look and atmosphere of your room. Control remotely with your smart device, create customized scenes and unleash your creativity. Meet your party, read, leisure light. ★ENERGY SAVING &WIDE USAGE★ With LED technology, this bulb will save up to 60% energy consumption compared with ordinary bulb. Save your electricity charge with newest lighting technology. 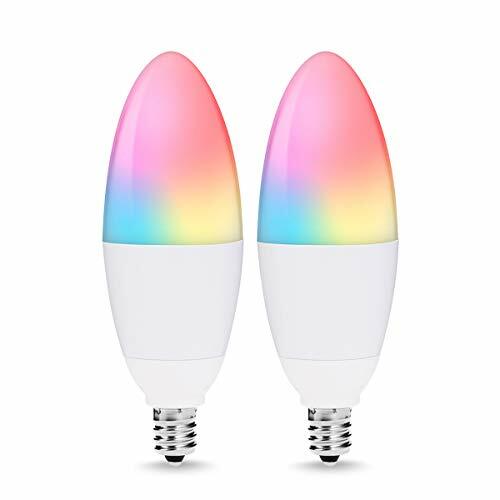 This bulb can be used on anywhere you need colorful light such as home indoor lighting, hotel, meeting room, museum, restaurants, bar, cafe, holiday decoration, birthday party. ★LONG LIFESPAN★ Over 30,000 hours or 27.39 years lifetime with normal use (3hrs/day). This bulb has FCC, CE, RoHs certificate, 7.5Watts (equivalent of a 60W traditional incandescent bulb), 800 lumen. Voltage Range AC 100-240V 50/60 Hz. If you encounter any problem or need support, please feel free to contact us through following E-mail support.us@teckin.co or Amazon directly. We offer free replacement service anytime and for any reason if the bulb is defective.